James Graham, son of Andrew and Agnes (nee McCreery), was born at Drumgarth near Rathfriland in County Down in 1830. 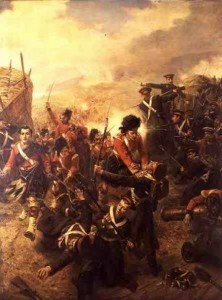 The Grahams were an Ulster Scottish family of the Presbyterian* persuasion. Young James worked as a weaver before choosing a more adventurous calling. Graham enlisted as Private #2191 in the 7th Regiment of Foot at Newry, County Armagh, on 30 December 1846. During his first years of Army life he served in the British Isles in Ireland, Portsmouth, Plymouth and Manchester. The newly promoted Corporal James Graham landed in Turkey in April and the Crimea on 14 September 1854. 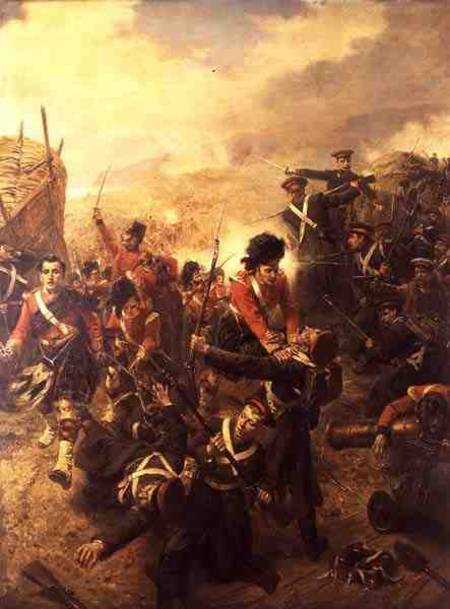 He experienced war at its most deadly at the Alma, during that famous business when the 7th shot to pieces the Kazan Regiment in a prolonged slogging match fought at 50-yards range. He gained promotion to sergeant’s rank in June 1855. In the brave attempt to storm the Redan at Sebastopol on September 8, 1855 the regiment performed further wonders, but to no avail. Sergeant James Graham was very badly wounded – shot in the face in such a way that the missile penetrated both cheeks. The injury turned into a permanent and grinding source of discomfort. James returned to England in November 1855, spent time at Chelsea Hospital and discharged from the service because of his wounds in December 1855. In February 1856, he was admitted as an out-patient of Royal Chelsea Hospital on a pension of 1/6d. per day following which he returned to Ireland and his wife Fanny (nee Brown), whom he had married before his Crimean War adventures. 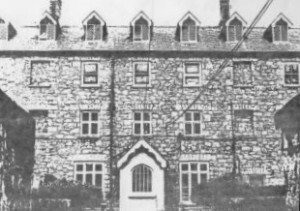 He gained employment as a porter at Newry Workhouse for a couple of years until opportunity beckoned from the far side of the world. Men like James Graham were needed in what could really be called the ‘last frontier’ of the British Empire of mid-Victorian times: the colony of Western Australia, the most isolated European continental settlement in the world. Assorted labour shortages in Western Australia became an issue. After much heated disputation, the pro-convict lobby had its way and many thousands of felons were imported between the years 1850-1868. Security arrangements for the colony’s defence were necessary in the long term in an era of international tension. The imperial authorities in Britain came up with a solution – the Enrolled Pensioner Force (EPF). The unit consisted of British Army veterans who had become military pensioners. 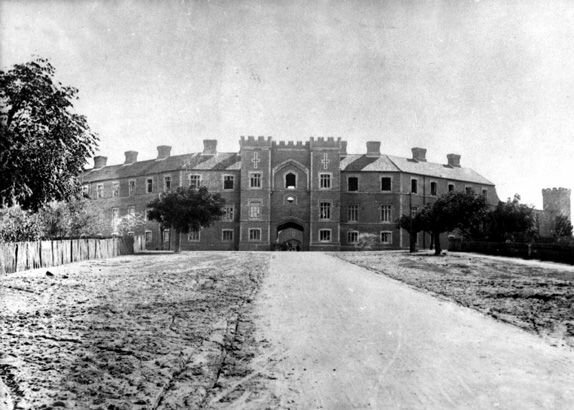 From 1850 about 1200 men came to the colony, mostly as pensioner guards on the convict ships. Many continued to serve as guards after they arrived, although other avenues of employment became available. A proportion of them brought their wives and families along – a cottage and land available for lease and/or purchase under their terms of engagement. James Graham joined the Enrolled Pensioner Force in 1862. He arrived in Western Australia on the Norwood in June of that year, along with his wife and children. Graham had acquired a good conduct badge and received fine character references from a clergyman and an army staff officer. For many pensioner guards, home for several years turned out to be the Pensioner Barracks built at the western end of St Georges Terrace, Perth. Within a few years of arrival James Graham began to look for public employment opportunities outside the ranks of the EPF. The colonial Police Force was an obvious choice, partly because of strong reform measures in progress under Superintendent William Hogan. A former soldier himself, Hogan had a ‘low tolerance’ approach towards breaches of discipline and lapses from acceptable police standards of conduct. After taking charge in 1861 he removed or demoted quite a few sergeants and constables over the following five years. Superintendent Hogan needed replacements and he recruited some through an informal probationary system, as shown in the following letter to the Governor dated January 23, 1865: “I have the honour to recommend…the following men be appointed constables (on trial for two months) – Adam Bently, Michael Clark, John McKay, Spencer Hayman, Joseph Campbell and James Graham”. Officer Graham was stationed at Guildford and completed his trial period successfully in March. The end of his brief law enforcement career came quickly. A month later Graham had a confrontation with a violent drunkard, arrested him and used his ‘staff’ (truncheon) to flatten the man in the process. That was a direct breach of a Circular Order issued by Hogan in 1861, which emphasised the need for restraint and care in using force. Hogan felt obliged to take action, though the business made him unhappy, and he wrote thus to the Governor on April 29, 1865: “I have the honour to recommend that Constable Graham of Guildford be allowed to resign his situation for using a greater degree of violence with his staff in the arrest than I think was absolutely necessary”. James Graham had been treated kindly and probably learned from his experience. More importantly, he had not been disgraced and other doors remained open. In December 1866 he became an Assistant Warder in the Convict Establishment and during the next few years served in various locations, sometimes supervising working parties well away from Perth or Fremantle. His record was quite a good one in comparison to many, although personnel records of the Convict Establishment list a few offences or mistakes which cost James money by way of various fines. 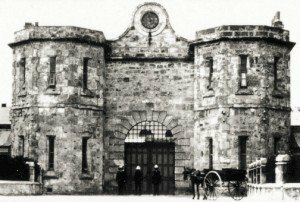 He obtained a permanent transfer to Fremantle Prison in March 1875. 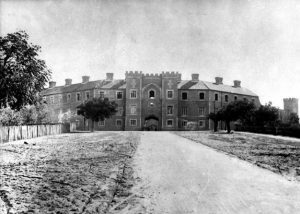 That institution was a large and formidable one, although regarded as something of a ‘state of the art’ place of correction in that era. The prison is now a World Heritage Building. The photograph shows the entry point of the prison, a Gothic-style gate house. By now there were signs all was not well for the 7th Regiment warrior: Graham’s war wounds were starting to give him major problems. In the 1870s we read of facial infections and swelling on three occasions and just once there is a hint he had taken to the drink. All the same, officialdom held this particular veteran in regard and accorded him due respect – he was chosen for temporary duty as an orderly in the Governor’s office during March 1879. Graham also became a member of the Loyal Orange Order. In 1883 James Graham married his second wife, Eliza, nee Manning, widow of Thomas Cole. In that same year he received a land grant of one acre in North Fremantle. James Graham reached the position of Warder before medical issues compelled him to retire on September 1, 1889. James died in August 1894 and was buried in Skinner Street Cemetery and remembered on a headstone in the Congregational Church section at Fremantle Cemetery. A significant amount of this narrative first appeared in the War Correspondent, journal of the Crimean War Research Society, Vol. 29, No. 2, July 2011, where extensive footnote references may be found. Further narrative from material in James Graham’s army pay book and personal papers has been added [Acc 1064A, Battye Library, Western Australia]. *edited from the original narrative which stated ‘Congregational’ to ‘Presbyterian’ upon receipt of a baptism record from the 2nd Presbyterian Church in Rathfriland [courtesy Lyn Embery].